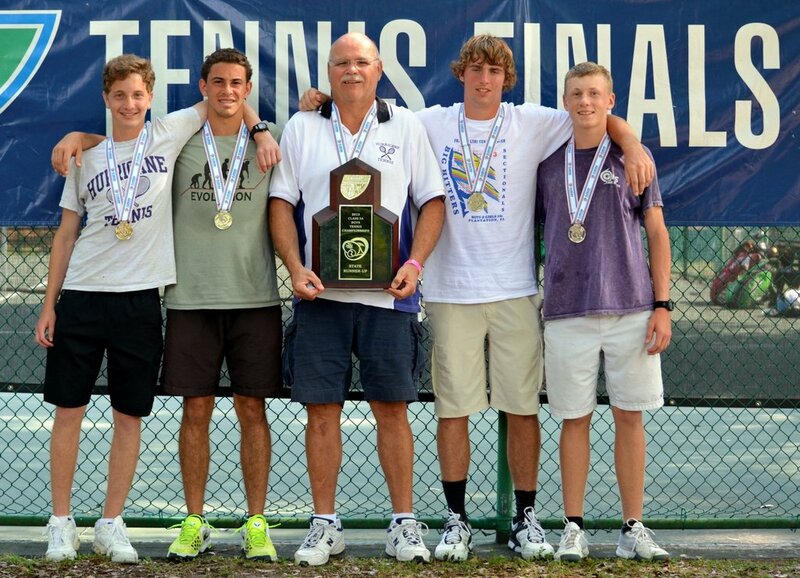 After two days of competition, the Gainesville boys tennis team narrowly missed winning its fifth state title but still walked away from Tuesday’s Class 3A championships with individual hardware. The Hurricanes claimed two state titles in No. 1 and No. 3 singles play, however, two-time defending state champion Naples Barron Collier was able to edge runner-up Gainesville by six points in the finals standings. 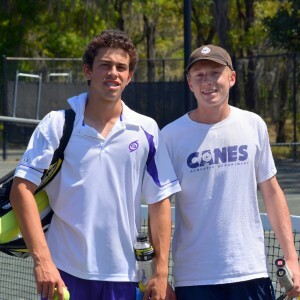 The Cougars won three singles championships along with both doubles titles to amass 18 points. In the No. 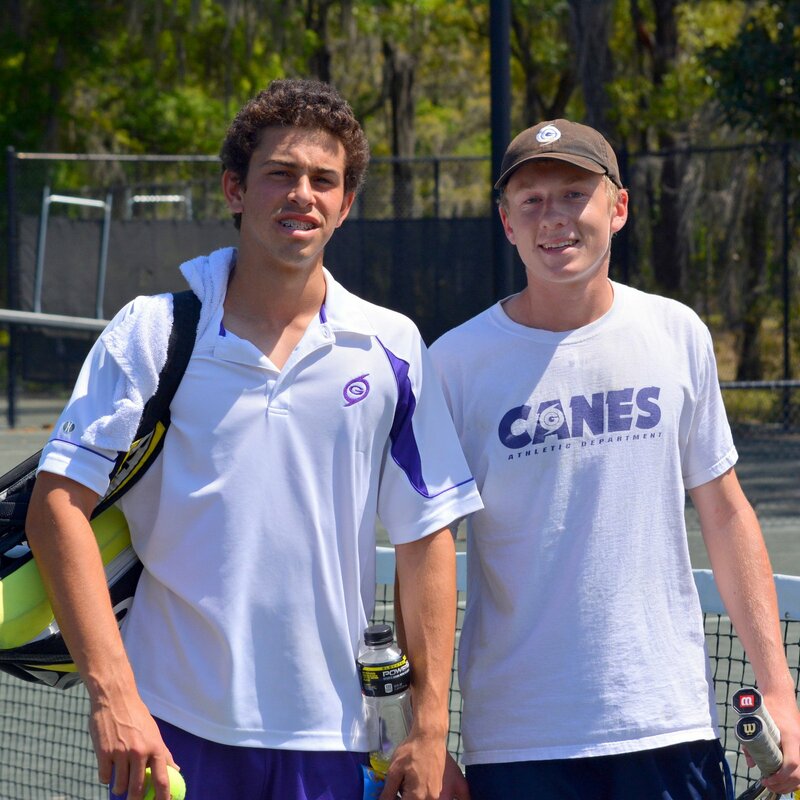 1 singles finals, Gainesville senior Zach Goldberg continued his perfect season with a 2-6, 4-6, 7-5 win over Barron Collier’s Jorge Vargas. While senior Cole Fiegel lost in No. 2 singles, GHS junior Peter Slaton claimed the No. 3 singles title for the second straight year with a straight-set victory against the Cougars’ David Fong. Goldberg, who earned his first state championship at the meet, teamed with Slaton in the No. 1 doubles finals against Barron Collier’s duo of Vargas and No. 2 singles champion Alan Sweet. After splitting the first two sets with the Hurricanes, Vargas and Sweet pulled away in the third for a 6-4, 3-6, 6-4 win. Barron Collier’s No. 2 doubles team of Paul Johnson and Doug Small would then ensure its ninth state title in school history by defeating Fiegel and Jacob Gordon 6-2, 2-6, 6-2 in the finals. “I am extremely proud of my guys that gave it all they had,” said GHS coach Paul Spradling, who has won three state championships with the Hurricanes. “With a few breaks we would have won it. But just like a bad bounce of a ball, it didn’t go our way. As the No. 1 singles winner, Goldberg plays one last match today at 8 a.m. for the overall singles championship against Gulfport Boca Ciega’s Dan Stefan, who won the individual singles title on Tuesday.